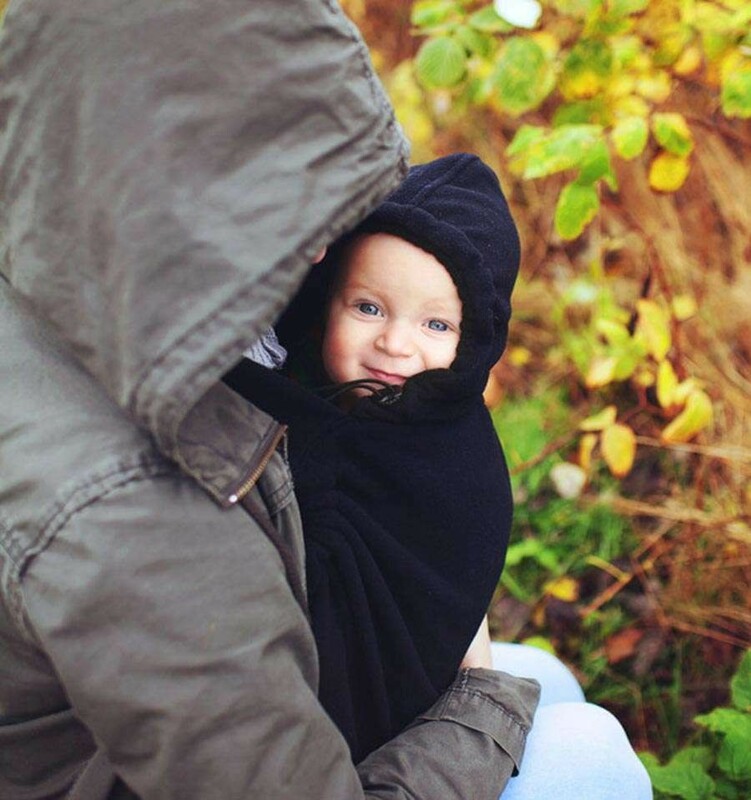 Little Frog Fleece Cover "Cosy Frog" keeps your child warm in the baby carrier during cold days. 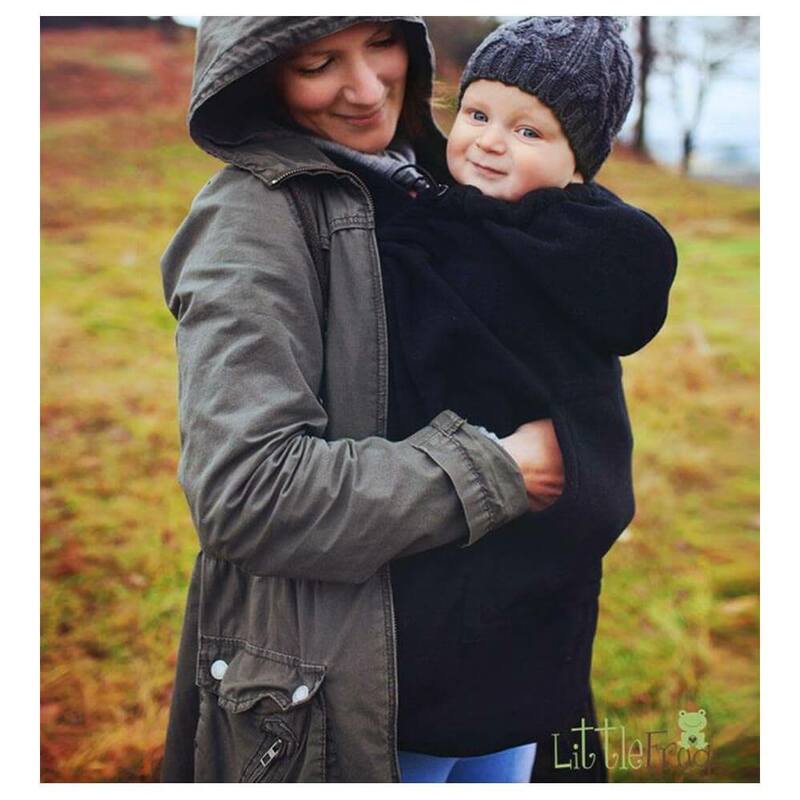 The Little Frog Fleece Cover is made of soft and warm fleece and protects your child against wind and cold temperatures. 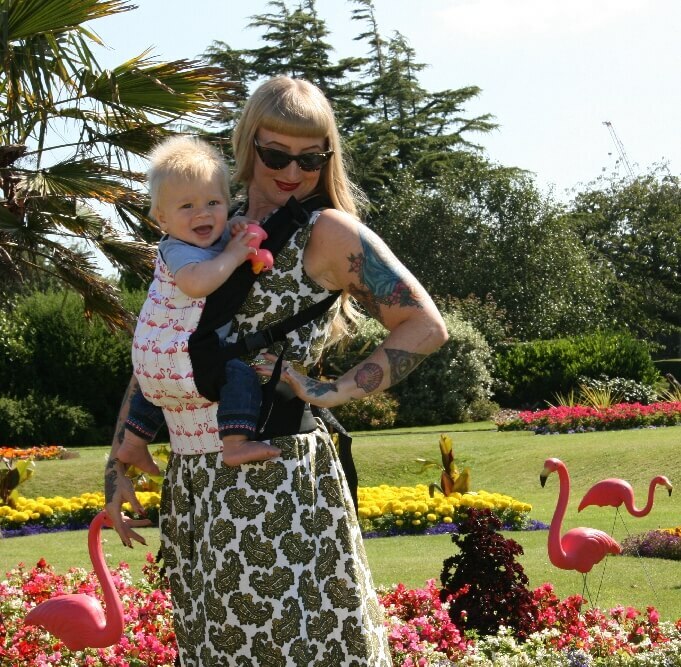 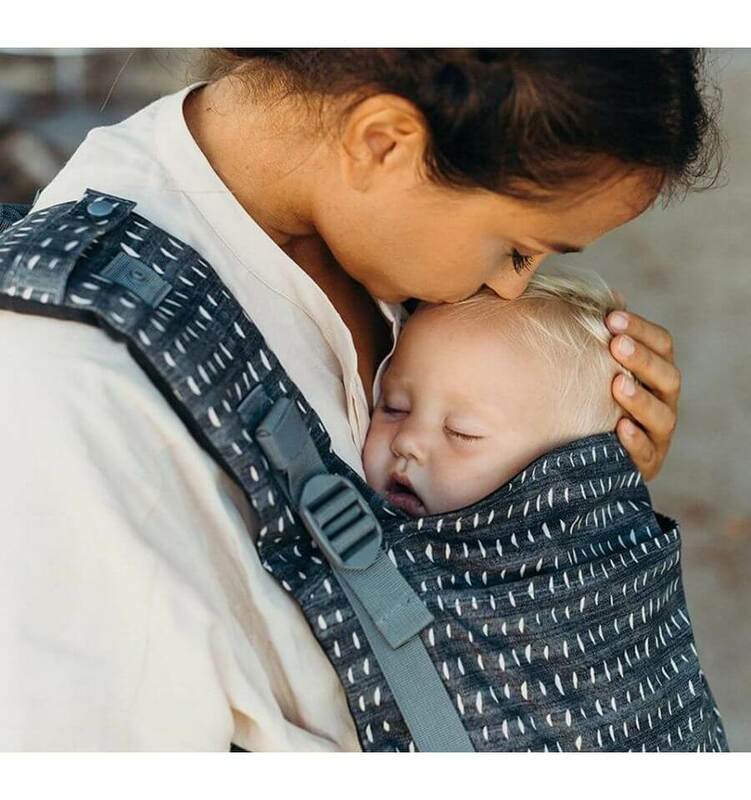 The fleece cover is easy and quick to use and fits over all baby carriers, Mei Tai's and baby slings. 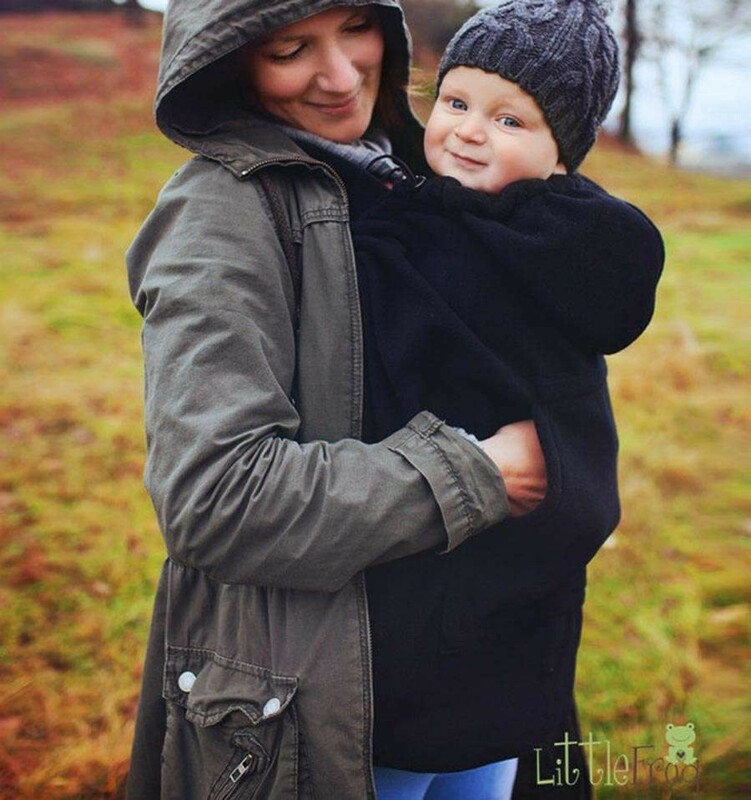 The Little Frog Fleece Cover warms the baby's back and can be individually adjusted in width and height with a drawstring sewn around the cover. 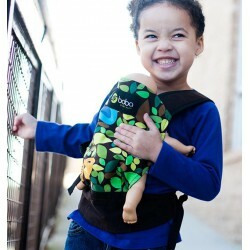 It has a neck strap which is put around the parent's neck and attached to the cover with velcro. 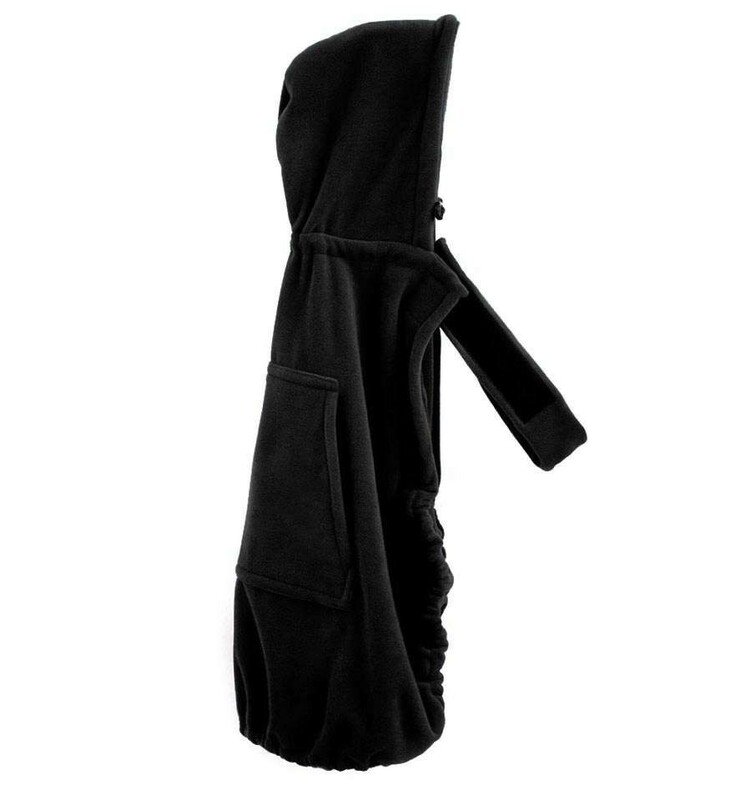 In addition, the fleece cover is equipped with a hood for the baby and with two pockets to keep the parents' hands warm.